Edited: December 23, 2017, 12:12 PM · I'm writing to report that a violin was stolen from a car on Friday, 12/22 in NYC on East 83rd Street. 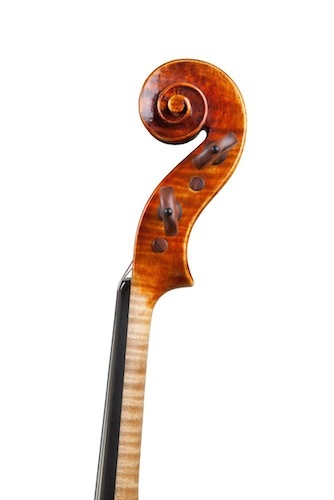 The violin was made by Lukas Wronski. The label reads: "Lukas Wronski, New York, 2008. A word of advice: NEVER LEAVE AN INSTRUMENT IN A PARKED CAR no matter what the weather or time of year. Of course, this holiday season is prime time for thieves as they expect to find, at the very least, various holiday gifts. This thief found a real bonus! Edited: December 22, 2017, 11:55 AM · Sorry for your loss, it’s a hard way to learn your sage advice, hopefully you had it insured. Leaving string instruments in a car unattended for even a few minutes is indeed a bad idea, not only because of likely teft (even more so this time of year), but possible damage done to the instrument due to extreme temperatures variations. Over heating is less of an issue in winter I suppose, but one shouldn’t underestimate how warm the interior of a car can get in the sunshine, and when extremely cold (like -25C) this can equally be bad; frozen glue joints, extreme dryness followed by condensation when going inside, contraction of materials followed by expension when warming up are all very bad for an instrument. I for one very seldomly leave my violin in the trunk of my car out of sight for more than 2min if I am parked in a “safe” place. If I go grab a coffee in a high traffic area, even for 10min in and out, I usually take the instrument along with me. Also, when I do leave it in the car for a brief minute, I always ensure that the instrument was stowed away before I actually parked the car so no one can watch me putting it in the trunk for “safety” (especially in large parking lots). I usually avoid putting the instrument in the trunk, as rear ended collisions is apparently the most frequent source of heavy instrument damages. December 22, 2017, 6:58 PM · Thanks for the info, Bruce. I’ve passed it along. Just to clarify: it wasn’t my violin. The luthier who made the violin and had given it to a client to trial, is the owner. The client left it in his car. I NEVER leave my violin in my car for the reasons mentioned above: avoidance of temperature extremes and fear of theft— insurance won’t cover the loss of an instrument left in a car. December 22, 2017, 9:37 PM · Holy cow, someone had a violin out ON TRIAL and left it in a car? Edited: December 23, 2017, 4:23 AM · Wow, what's wrong with leaving an instrument in a car when the temperatures are not a problem? You can't live that paranoid thinking that someone is going to steal it. I'd definitely "hide" it in the floor, but unless you park in a very dangerous problematic area, I don't think it's a bad idea to leave it there while you're shopping or eating dinner with friends. What are you gonna do, take it with you so you have a nice annoying big luggage in your back while shopping? December 23, 2017, 5:32 AM · What's wrong with leaving it in the car when the temperature isn't an issue? On a trial, the instrument is normally insured by the seller's insurance, but it's very common for this insurance to exclude anything that's left unattended in a car. I don't think it's paranoid to be especially diligent when you're responsible for expensive instruments that belong to someone else. December 23, 2017, 6:09 AM · "What are you gonna do, take it with you so you have a nice annoying big luggage in your back while shopping?" And yes, there are thieves in America, and many of them know how to break windows. Leaving any item of value in an unattended parked car is unwise. Leaving an item worth more than the car itself in a parked car is stupid. Leaving an item worth more than the car itself *that belongs to someone else* in a parked car is irresponsible beyond belief. As has been noted, insurance generally does not cover loss due to negligence. December 23, 2017, 11:12 AM · Tim, I can’t speak for all of North America, but certainly in any large cities I’ve lived in Canada, I won’t leave so much of a quarter in sight anymore. Over the years I got almost every windows of my car smashed at one time or another, different cities, different times, different locations. Car theft is very frequent, especially during holiday season when thiefs know that most people have a trunk full of purchases. In spite of that many leave things up in plain sight thinking it never happens to them. I love it when they’re parked next to me; it makes them the prime target! Police use bait cars in shopping mall parking lots for a reason. If you value your instrument, a car isn’t a safe place to keep it. December 23, 2017, 12:02 PM · As an addendum to Rogers' post,my wife locked her keys in the car a few weeks ago.CAA came by within the half hour and using a flat blade with a hook on the end,popped the lock in about 10 seconds.I was unnerved to say the least. December 23, 2017, 12:25 PM · TR: "What are you gonna do, take it with you so you have a nice annoying big luggage in your back while shopping?" Yes, that's what you do. December 23, 2017, 1:16 PM · As a further addendum, back in the days when car radio-cassette players weren't all that common, were expensive, and easy for the light-fingered to remove from a car, mine was stolen from my car during the night. I told the police, and the visiting officer remarked that the player would probably be sold on that very day in a particular pub not far away and well-known for such transactions, which could be secretly monitored if necessary. I advised to let the transaction go ahead because I knew that the player was broken beyond repair (I hadn't yet gotten round to having it replaced), and the thief would later receive a visit from a very dissatisfied and irate buyer. The officer said that was the best news he'd had all day. December 23, 2017, 1:21 PM · Well, it happened to me once. I suggest you visit some pawn shops in your region. It is very likely you will find your violin in one of them. I recoverd my instrument this way. Edited: December 23, 2017, 8:50 PM · About 30 years ago, I participated in a master class taught by the concertmaster of a respectable orchestra in the city I was living. He just recently acquired a strad! After class, I went for a bathroom break and there he was standing there with his strad in his arms--he took his violin with him everywhere he went. That was as close as I have ever gotten to a strad. December 23, 2017, 2:30 PM · How about keeping a gps tracker in the case somewhere? Edited: December 23, 2017, 2:41 PM · Some cases do come with GPS trackers, but the “educated” thief with an once of intelligence would probably ditch the case rather quickly, but again many aren’t the brightest of individuals! December 23, 2017, 4:17 PM · "What are you gonna do, take it with you so you have a nice annoying big luggage in your back while shopping?" And in this case, would you leave someone else's baby you're responsible for, unattended in a car?! Edited: December 23, 2017, 4:43 PM · Do you ever leave your violin in your house? Because if you do so, you're being very irresponsible because breaking a window in a car is exactly as easy as breaking a windows in a house, indeed it's much more safe, since most houses are not a public area and only neighbors could hear something, instead of dozens of persons passing by a parking or street. If the situation you describe is that common, thiefs would be breaking house's windows all the time, not car's, because there are a lot more valuable things in a house. What I find paranoid is calling someone irresponsible for leaving a luggage in a car, which is what from the outside it looks like. You're not leaving $500 cash visible, it's simply a package. Unless, of course, you're parking in a dangerous district. Edited: December 23, 2017, 7:09 PM · Car break-in is relatively quick and safe compared to a house, hence far more frequent. I had my car broken in 4 times (once in the time it took to check-in a prominent hotel, get my key and come back with a cart)! My house never. They brake into cars parked in the driveways of my “safe” neighbourhood rather too often, houses much less so but they do, it is far more risky business however. I wouldn’t call Mary Ellen’s statement paranoid. The risk is real and well known. Leaving someone else’s very expensive instrument in a car unsupervised is indeed irresponsible/negligent (as proven in this case) and this is why many insurances policies deny coverage I suppose. The perception that car break-in only occur in risky neighbourhoods is a fallacy. Why do you think there are “Do not leave valuables in your vehicle” warning signs in just about every parking lot? Addendum: Fun with numbers: Surrey, BC RCMP stats report approx. a 4 to 1 ratio of vehicle breakin vs house in 2017. At this ratio, that would equates in the US to a car breakin every 3 seconds (based on a 2 million house breakins annually statistic, but I don’t know how accurate that is). I suppose though if you never had the pleasure of being introduced to the joy of break-ins, one could understandably have a much more casual attitude toward it. Once you’ve been hit you begin to notice the broken glass in every parking lots. Edited: December 23, 2017, 7:55 PM · I was once in America for 2 months, near New York. It was a residential area, plenty of houses (chalet type)... breaking in a house was SO easy, you just wait for the family to leave (or you hit a house where a single person lives) and there's no chance at all you could get caught. Tress hide one house from another. All of them had a backyard area with a pool and BBQ, of course a door and plenty of windows. Bring a hammer and you're in. What I mean is that I wouldn't like to be called "irresponsible" if someone breaks in and steals my valuable objects. Break in a car, compared to break in a house like the thousands of them I saw, is much more risky, you get nervous, you need to be alert so no one sees you, you need to be quick, etc... breaking in a house when the occupants leave is a piece of cake, so much easier, less risky and you end up with much better pickings, which are guaranteed to be obtained in anyone's house. You steal some luggage inside a car and you don't know what's inside, because unless you're a musician, not that much people recognize a violin case, specially if it's a oblong one, cause it looks like a luggage. Or, in other words, I wouldn't blame my friend if I lend him my violin and someone steals it from his car. Unless he put the case in the windshield, I would feel really bad if after the shock, I dare to say that it was very irresponsible to leave the case inside a car. Like if any of us knew it was gonna happen... You are not provoking by leaving a luggage in your car. Just one to blame: the thief. Edited: December 23, 2017, 9:04 PM · In the US, many if not most houses are armed! If you break into one, there is a high probability that you may be looking at the barrel of a gun. The risk of breaking into an empty car is much lower. December 23, 2017, 9:28 PM · A violin stolen from your house is (presumably) insured, assuming you have it insured. Insurance companies deny coverage if you have left your instrument in a car. That’s negligence. Don’t do it!! December 23, 2017, 11:06 PM · Agreed. I’d NEVER leave my violin (especially a loaned instrument) in my car. I’ve lived in bigger cities (San Francisco & Chicago) for many years and had my cars broken into numerous times. I actually take some time to “hide” my violins even when at home, despite the fact that they’re insured and the house is alarmed. Trying to replace a favorite violin, even w insurance money, would be terrible. Edited: December 24, 2017, 12:43 AM · David Zhang wrote: About 30 years ago, I participated in a master class taught by the concertmaster of a respectable orchestra in the city I was living. He just recently acquired a strad! After class, I went for a bathroom break and there he was standing there with his strad in his arms--he took his violin with him everywhere he went. Last Sep I attended the Chicago Symphony season opener with Ann-Sophie Mutter playing the Tchaikovsky. After the intermission, I spotted Mutter in one of the box seats taking in the second half of the program (as spectator). Yes, she had her violin case at her side with one of her two Strads (I presume) inside. A local television interview broadcast in conjunction with those performances can be found here. Mutter talks a bit about her Strad before playing it. Interesting she says she bought it from a violin dealer in Chicago. Must have been Bein & Fushi. December 24, 2017, 1:32 AM · "He just recently acquired a strad! After class, I went for a bathroom break and there he was standing there with his strad in his arms--he took his violin with him everywhere he went." I'm kind of puzzled by the logistics here. How many hands did this person have? Edited: December 24, 2017, 12:33 PM · Simple. On the one hand you tuck the violin under your right upper arm, and on the other hand you tuck it under your left upper arm, either of which leaves the hands free for, erm, other purposes. You'd probably have to remove the shoulder rest first. Just don't let your insurance company see this manoeuvre! December 24, 2017, 10:21 AM · Robbing a house is fraught with potential unknown perils, and it tends to be a crime committed by organized planners, often working in teams. By contrast, a car robbery, especially a smash-and-grab, is a crime of impulse and opportunity. Leaving your violin in the car is considered to be a sufficiently irresponsible act that insurance policies will explicitly exclude instruments left in cars. Edited: December 24, 2017, 4:24 PM · Robbing a house is not a crime of impulse and opportunity? Yeah, sure it's not impulse as a car assault, but opportunity, of course. Seriously, I'm not a criminal, but if I want to steal something valuable I'd totally avoid the pressure of stealing something inside a car where you have to be alert and ready to run away if anyone catches you. It would be so much easier to go to a residential area, wait for the occupants to leave and break in. And a house is really full of valuable objects, and you have plenty of time: 10 minutes, 15 minutes, an hour? Unless thiefs in America are stupid and want to have extra pressure to steal something that is guaranteed to be much less valuable than the regular objects you find in a house. My point really is that I don't find nice to "insult" someone calling him/her "irresponsible" for leaving a violin inside a car. As I said, there's not act of provocation at all by leaving a luggage in a car. Irresponsible would be to forget the window open, to leave $1000 cash right in front of the steering wheel. December 24, 2017, 7:56 PM · Well, as I (and several other posters) noted, leaving a violin in your unattended car is considered so irresponsible that insurers actually consider it negligent and will not honor such a claim. So whether or not you find it insulting, insurers -- who have actuarial tables pegged to measured risks -- do indeed find it to be unacceptably dangerous. I hope you're never unlucky enough to damage or lose your instrument because you left it in a car. December 24, 2017, 8:56 PM · GREAT NEWS!!! I just heard that the violin was found. I don’t have any details yet but wanted to share the good news. Edited: December 24, 2017, 9:15 PM · If we're going to evaluate risk, then we should ask how many violins are stolen from locked cars as compared to city parks, restaurants, public lavatories, shopping malls, etc., including those that were just momentarily set down whilst chatting with a clerk, ordering a drink, or whatever, and those that were destroyed by being sat upon or tumbling down stairs only because the person was carrying it around instead of keeping it in the trunk of his or her car. Of course I have no idea, but statistically, I'll bet a woman's purse is much safer in her car trunk than it is on the woman's shoulder or sitting next to her on the floor of a restaurant. I realize "locks only keep honest people out" but I wonder how many thefts from "locked cars" were really thefts from cars that weren't actually locked. I remember a post about a guy who was incredulous that all of the locks and latches on his case had failed and his violin had tumbled out and was ruined, and he wanted to sue the case manufacturer. Or did he just forget to latch and zip his case? I am certain that my violin is still insured if stolen from my car because that is the first question I asked my Allstate agent when I bought the policy. Edit: Yes, that's great news! Thanks for the update. statistically it wouldn’t mean anything as the risks are statistically impossible to measure. I suppose you’d need to know how many opportunities vs how many theft occurrences there were in order to measure risk. If the theft numbers were equal, but the opportunities greatly differed, it would mean greatly different risk levels. We could go crazy to infinitum about this and use such arguments to rationalize one’s own willfully negligent actions, but as far I am concerned, you won’t see me trusting my car as a safe storage place for my instrument, or anything else for that matter when the evidences speak to the contrary. Others can do what they want and deny any responsibility, but I would not be so forgiving if someone else lost my instrument in that fashion. It is good news to hear there may be a good ending to this theft occurrence. Hopefully it can be recovered un-damaged. December 24, 2017, 10:38 PM · Good point Paul. Yeah, we could talk about this for weeks. My final opinion is that I don't the like the idea, that seems to be greatly shared here, that one person is irresponsible for leaving the violin in the car. Hundreds times more wallets are stolen from pockets while walking the street than violins in cars. If I use your logic, I would call you all irresponsible for using your pocket to save your wallet. And I could give thousands of examples. If you left the violin in the car and had the terrible bad luck that a thief was passing by and chose your car, it's not your fault all. December 24, 2017, 11:19 PM · Tim, I fear that you are being deliberately obtuse. Theft from cars is a major problem in pretty much every country on the planet and not just in major cities. It is an avoidable risk. You might not like it, and you are entitled to your opinion, but leaving someone else's valuable property in a car is irresponsible. It would also seem that the majority of posters here, and the Insurance industry did agree with you, which might tell us something. In this case there appears to be a happy ending and lets all be grateful for that. December 25, 2017, 1:59 AM · the whole issue is fraught with uncertainties. So Anne-Sophie Mutter walks around with her violin case because she doesn't want to leave it unattended. To a degree it's like walking around with a sign on your back saying, "I've got a million dollars in my purse." Lots of ladies' purses are just snatched away on the street by guys on fast little city motor bikes. At least half of the violins today are carried around by women who do not pose a great physical deterrence to robbers, so the number of disappaered violins is really astonishingly low. Edited: December 25, 2017, 8:20 AM · So I guess all those signs one sees in various parking lots to the effect of "do not leave valuables in car" are superfluous? People who will break into a car are very seldom the same people who will assault a pedestrian. There are far more of the former than the latter. Chin rests, shoulder rests, I never dreamed that the common sense action of not leaving a violin in a parked car would be controversial. Merry Christmas to all who celebrate, and best wishes for a happy new year to all. Edited: December 25, 2017, 1:07 PM · People in general tend not to read warning notices, which are presumably "seen" as part of the background scenery. A case in point: on the Bristol Channel coast not far from where I live there is a large seaside resort (Weston-super-Mare) with miles of wide sandy beaches that a few hundred yards out turn to mud or quicksand near low tide. There are clear notices all over the place warning holiday makers not to venture out to low tide and not to park their cars outside the designated parking areas on the beach. Literally every week in the holiday season one or more cars parked outside the beach parking areas sinks to its axles in the mud or quicksand, or even gets completely submerged by the fast incoming tide - second highest tidal range in the world, incidentally - and has to hauled out by a tractor. Insurance companies tend to be unsympathetic in these circumstances. Holiday makers, blind to the warning notices, also walk out to paddle at low tide, sink in the mud and have to be rescued by the inshore lifeboat. They are usually taken to the local hospital for a cleanup and probably treatment for exposure and ingesting the water of the Bristol Channel. I've seen this happen a couple of times. Edited: December 25, 2017, 9:51 AM · “If I use your logic, I would call you all irresponsible for using your pocket to save your wallet.” And it would indeed be appropriate when walking in crowded areas in most large European cities that are fraught with pickpocketing. You wouldn’t get much sympathy from local police forces walking around with a bulging back pocket and would most likely call you irresponsible. You will see responsible women walking holding their purse in front of them to safe keep it from easy purse snatching. Ditto with cameras. Thief’s are there whether we acknowledge it, read the signs or not, tx to drug addiction, and ignoring it doesn’t make them go away. We can certainly make it harder for them though by reducing the opportunities of an easy bounty. Unfortunately we don’t live in a safe world, which is sad and I wish I could feel safe leaving things in my car but it ain’t where I live. I do however agree with not blaming someone for doing what I would do myself, it is a noble attitude. Edited: December 25, 2017, 11:15 AM · The risk of a world famous soloist being robbed of her violin in a concert hall in front of hundreds of people was suggested as equal to or greater than that of an unattended car being broken in. The simple act of tucking one's violin under one's arm while standing was questioned regarding its feasibility. We get it. Leave your car door unlocked and blame the thief. Edited: December 25, 2017, 1:55 PM · Mary Ellen wrote, "I never dreamed that the common sense action of not leaving a violin in a parked car would be controversial." With all respect due her knowledge and professional experience, sometimes the status quo is not controversial simply because nobody has ever bothered to challenge the underpinning assumptions. Roger acknowledged that the risks accruing to the myriad alternatives would be difficult to estimate. Just because something might be hard to measure doesn't mean it should be written off. Small risks accruing to each of many possible scenarios can add up quickly. The other day I met with a grad student in a common study area in my department. It got noisy there, so we relocated to my office. A few hours later, long after our meeting was over, I could not seem to find my phone, so I retraced my steps, which led me back to where we were sitting in the morning, and sure enough, there's my phone, sitting on a table! What are the chances? I'm always misplacing my keys, my phone, backpack, etc. Drives my wife crazy. She won't let me buy me a winter coat because I'll just leave it in a restaurant or some such. After all that's what happened to my last nice winter coat (and all my pairs of sunglasses after which I simply decided that I don't need sunglasses). Now I've really improved over the last several years to the point where I probably could keep a winter coat for at least a few seasons. But is a guy like me better off hauling his violin around to several errands after his lesson, or should I just leave it in the trunk of my car? Therefore I further hypothesize that the people here who are the most incredulous about leaving violins in cars are the type of people who know they're NOT the scatter-brained, forgetful type of person who would ever leave a pair of sunglasses in a restaurant or a cell phone in a study carrel for a few hours or a purse/backpack in a lavatory for a few minutes, before shouting "oh sugar!" and running back for it, their hearts pounding -- as I do with sufficient frequency that I don't need annual cardiac physicals. For THEM, the risk to their violins from leaving it in their cars might well be much greater than carrying around. But for me? Perhaps it's good that I live in a place where the most common places from which things are stolen are dorm rooms and athletic locker rooms. I always wondered about the sign that says "do not leave your valuables in your car." I suspect that this sign is more of a disclaimer of liability than it is a friendly reminder. December 25, 2017, 1:11 PM · One key difference between a violin and a purse is the value to the thief. Money is money. A violin stolen from a car would probably be a crime of opportunity, not foresight (unless a clever instrument thief was stalking Tim! ), so the violin might not be as readily identified as valuable. People not in the know often have no idea how much these things cost. Checking pawn shops was a good idea. Of course, the opposite could also be true. I wonder how many casual instrument thieves are sure they found a Strad? There's an obvious "tell" when good bikes are stolen by thieves who aren't familiar with the varying degrees of value. The Craig's List ads are often hilariously vague or inaccurate, whereas a true owner would detail the components and model meticulously. Edited: December 25, 2017, 2:17 PM · Paul, I get your point. While assessing risks, that person has to individually play the odds according to his or her situation. But, insurance companies as many have mentioned, might not agree with you. Do you have special auto insurance? Because my understanding is that most car insurance policies will not cover items stolen/damaged not normally part of the car. But I'm no insurance expert. Do you have home insurance with the same company? Your home insurance will most likely cover it. Edited: December 25, 2017, 2:38 PM · Oh yeah, I forgot to mention one thing. Of course it's controversial! Safety is always controversial. I could say that you are irresponsible for carrying around an instrument worth thousands of dollars. You greatly increase the chances of forgetting it in some place, like you receive a call and totally disconnect from the world and forget you put the case down the chair. You greatly increase the chances of damaging the case and what's inside if you carry it around wherever you are. You could fall or slip, you could get hit by a car. David Garrett precisely smashed his Strad because he slipped. It happens, big example right there. In the car, none of those things can happen, it's as safe as it can get, much safer than you moving around the city, hands down. If you're so worried about it, leave it in the trunk where no one can see it. What are the chances of a thief opening your empty car (from outside) among hundreds of them, then open the trunk as well (many cars don't have direct access to the trunk from the cabin), and steal your violin? How robbery works in America? Thiefs meet in parkings and start breaking all the windows and trunks like crazy? You'd be called irresponsible for having $1000 in your wallet all days. How can you call someone irresponsible for saving the case in the trunk while you carry $3000, $20000 or whatever price your violin is around? Really, as I said, it's not nice to call someone irresponsible for saving the violin in the trunk while is shopping or eating dinner. I could totally tell you that you're the irresponsible one here carrying the violin to all the places. I'd get offended if someone calls me irresponsible for saving my violin in the trunk when I tell them I got robbed. It's simply bad luck, just like in Garrett's case. How many times I've read a note that said a student or violinist lost the violin because forgot it in the bus, train, restaurant...? Dozens. It is a reality, not an hypothetical situation. So, you guys shouldn't recklessly be calling irresponsible to someone that had the bad luck of getting robbed when left the violin in a trunk, I find it a bit insolent (daredevil). Insurance companies seek maximize their benefits, I don't know how they use the data they get, I don't think they hold the absolute truth about this. Indeed I'm quite sure there are MANY more violins that have been lost or destroyed outside a car. So yeah, it's very controversial and we all have reasons to opt for one option or another one, and it's not cool when one part calls another part irresponsible, like they are acting brainlessly. December 25, 2017, 2:26 PM · In retrospect, violin insurance companies might cover it anyway whether you leave it in a car or not. Who's a violin insurance expert? Actually they do! Happened to me when robbers broke into 35+ cars in an underground hotel parking I was staying at in Ottawa, the nation’s capital. They smashed my car window (as for all the other cars) to steal a few pennies worth of change (they’re usually looking for credit cards but will take off with anything of value)! It cost me $500. Car trunks during the holiday shopping season are prime target. The thiefs will hang around looking for people hiding their purchases in their trunk and wait for a quiet opportunity. Local police often use bait cars in an attempt to catch some of them. A skilled thief will unlock most car doors in mere seconds and appear ligitimate to most bystanders, the less refined ones simply smash a window. December 25, 2017, 5:44 PM · It would simply be bad luck if the only few days (20-30? whatever) per year you leave the violin in your trunk you get robbed. Just like if you smash the case to the ground because you slip, or in a parking you put the case in the ground and don't realize it's quite exposed and a car pass over it. I remember I read a few years ago here one violinist that destroyed the violin because a car run over it. Irresponsible would be to leave it in the trunk in the summer, or forget to close and lock the door. Do you ever use the subway or train? Well you shouldn't because there have been enough terrorist attacks to consider it not safety. Do you drive a car with your kids inside the car? Well you're a very irresponsible parent because there are thousands of fatal car accidents every year, and hey, many, if not all of them, are not something you can control: you get hit by another car whose driver was drunk, or did something forbidden. Even after knowing the thousands of accidents that happen every year, much more accidents that violins stolen, you still drive everyday, with your kids as well, thinking it's a totally safe way of transport (you are not nervous thinking all the time about what if you get crashed, aren't you?) and knowing it's not gonna happen to you. How about you have the terrible luck that you get hit by a drunk driver's car, one of your kids breaks his arm (being nice here), and I go "I told you, you're a very irresponsible parent, I knew this could happen one day"? Edited: December 25, 2017, 7:27 PM · Tim, You made your point although I think there is a difference between normal risk and assuming extra risk. For example, I believe that professional athletes have insurance that cover them in case of injury and thus loss of earnings, and I think insurance companies have clauses that say thou shall not take up extreme sports, skydive, etc. Same reason why you have to buy flood insurance if your new home is in a flood zone. But you bring up an interesting point to me: is leaving a violin in a locked (this is actually an assumption, we don't know much about how the violin was stolen) car negligence? How about unlocked car? Hence my question about violin insurance. It is irresponsible to leave a violin in an unlocked car exposed to weather conditions if that was the case, which we don't know. I think we do all agree to that. Edited: December 25, 2017, 8:03 PM · Hum, Tim that’s an interesting argument though kind of getting way, way off topic, but for what it’s worth it is reported that a wast majority of car accidents are caused by things that are in your control and preventable. Driving too fast, poor vehicle maintenance, poorly timed moment of inattention, impaired driving etc. you name it; rarely isn’t there an element of responsibility involved and an accident entirely pure bad luck (like getting hit my a meteorite while driving to the airport for a vacation), but I concede pure bad luck does happen from time to time but it is generally considered rare. Getting a violin stolen out of a car at Christmas in a shopping mall parking lot isn’t pure bad luck, it’s possible, arguably probable and also preventable. Taking that risk, even if so minute, with someone else’s instrument probably knowing that it wouldn’t meet the owner’s approval is irresponsible in my book since you are responsible for the instrument safekeeping. Doing it with your own instrument is your business as you are the one suffering the consequences of your own choice and in this case I’d probably call it negligent. You see this scenario as not your fault, just bad luck, while morally I see it as entirely my fault as I could have and should have prevented it knowing that it was possible even if un-probable. A court of law would most likely see no fault, whereas an insurance company may claim negligence. Addendum: Kan I believe you are not covered by insurance if the vehicle is unlocked, hence why I reluctantly lock my car, which is most often empty. It has to be forced entry to be covered. Edited: December 25, 2017, 8:05 PM · Y'all can speculate all you want about my insurance. I do not speculate. I asked my insurance agent (Allstate) what is covered and what is not. My agent told me that my violin is covered against theft or loss from *anywhere* including my vehicle. It is a separate rider on my homeowner's policy, for which I pay about $100 per year based on the appraised valuation of the instrument. Evaluating risk differently depending on whether it's your instrument or someone else's is a clear indication that the means of evaluation is emotional rather than actuarial. Edited: December 25, 2017, 8:08 PM · Wise words Paul ;-) Ditto for me. December 25, 2017, 8:19 PM · Evaluating risk differently depending on whether it's your instrument or someone else's makes perfect sense because you're free to choose the consequence for yourself but not for someone else who has trusted you with a valuable object. For the same reason, I will on occasion lend one of my most advanced students an instrument or a bow for a particular occasion, but I never lend the violin or bow that have been loaned to me--I only lend my own property. I can choose for myself to assume a risk. I cannot make that choice unilaterally for the Kuttner's owner. Instruments used professionally cannot be covered by homeowner's policies; they require a special policy from an instrument insurance company (mine is through Clarion). These are the policies that exclude coverage if the instrument has been left unattended in a parked car. It's also common for violin shops to specify that instruments out on approval cannot be left unattended as the shop's insurance won't cover a loss in such a case. December 25, 2017, 8:35 PM · I think some of you are giving too much credit to thieves. Violins are worthless and are fenced by 100 bucks or so. In the eyes of the thief, it is just a bonus in the same way a pair of shoes are. Most probably, no one leaves their house to steal a violin, so there is no need to worry about violin thieves running around. Edited: December 25, 2017, 9:16 PM · Paul, I wasn't trying to get into your space. I think it does look that way. Just clarification on what is covered and what is not for my own information. I believed a typical car insurance only does not cover stolen items not part of the car, which I think is valuable to know. Edited: December 26, 2017, 5:41 AM · The violin I use right now, which someone is lending me, has a very expensive insurance. The insurance only covers situations where you can prove were out of your control. This includes natural disasters such as earthquakes, and other things including robberies where you were present. If I leave the violin in a car and someone steals it while I’m away, I’ll go to jail, because the insurance doesn’t cover that. Sure, car robberies don’t happen that often, and it’s unlikely robbers also take the violin, but the price to pay is greater than the cost of carrying the violin around with myself. Edited: December 26, 2017, 3:37 AM · Leaving a violin in your house, or taking public transport/driving (Tim), is an inevitable part of life, while leaving it in a car is deliberately choosing the less safe of two reasonable options. December 26, 2017, 4:58 AM · Well you do have to follow what your insurance will cover. Not surprising that pro insurance differs. Just like personal vs work vehicle ... many differences. Just seems strange to me that they'll pay if you leave your violin in a restaurant in plain view but not in your car trunk where it is not visible. But, maybe that's what their numbers say. By the way I read somewhere that nowadays there are thieves go straight to your glove box for anything from which they can that steal your identity. Edited: December 26, 2017, 5:04 AM · Gemma the question that Tim and I have is whether it's really less safe. Majority indignation alone doesn't make it so. Edited: December 26, 2017, 11:25 AM · The statistics could possibly show no difference in safety between the two scenarios on average only because of the number game, but we can only speculate in absence of evidence. The big difference is that I am not in control of what is left in my car, and can do nothing about it whereas I do if I take the instrument along with me. Perhaps people who tend to have a casual or careless attitude in handling their instrument/case might well be better off leaving it in a car, but it certainly is not the case with me. If I am carrying my instrument (or anyone else’s for that matter) I always exercise a conscious level of care and safety concern at all times. I consciously avoid moving in a careless way (like running), remain aware of how I handle the case (not bumping into things), and never leave it out of my sight unless out of anyone’s reach (like putting it down on the floor while standing in a line isn’t a good idea). I suppose someone could yank it off my hands and run with it, but they’re better run fast! As for forgetting it somewhere, I usually make sure I either keep it in sight, or clip it onto something that I must take along with me and won’t forget. In other words I safe keep it responsibly. You read all sorts of mishap stories (car running over, theft onboard trains, falling down stairs, slipping), but they often have a relationship to either irresponsible, careless, inattentive or casual handling, and in the odd cases, sheer bad luck. Edited: December 26, 2017, 12:33 PM · Exactly, majority indignation does not prove a thing, neither proves that it's the safest solution. "but for what it’s worth it is reported that a wast majority of car accidents are caused by things that are in your control and preventable"
I guess that what that's trying to say is that car accidents are preventable because human factor is a big thing in all of them, I'm quite sure I read some months ago that about 85% car accidents were very influenced by human errors: driving drunk, going too fast, etc... It was about the topic "Should cars be controlled (driven) by electronics instead of humans?" What I mean is that you have NO control over it when you get hit, which happens a lot. You can't save your children/friend/husband... life by driving safer if a drunk person chooses to drive, crashes and destroys your car. The accident was preventable if the drunk person chose not to drive, but since it didn't, you can't do anything, that's what I meant. "A court of law would most likely see no fault, whereas an insurance company may claim negligence." "Sure, car robberies don’t happen that often, and it’s unlikely robbers also take the violin, but the price to pay is greater than the cost of carrying the violin around with myself." "Leaving a violin in your house, or taking public transport/driving (Tim), is an inevitable part of life, while leaving it in a car is deliberately choosing the less safe of two reasonable options." No, no, no and no. How you dare to say as an absolute truth that taking your violin everywhere you go is safer than leaving it in the trunk? "It was 1 P.M. when Mr. Ma, still exhausted from playing at Carnegie Hall on Friday night, got into a yellow cab at 86th Street and Central Park West, putting his 18th-century cello in the trunk. But 18 minutes later, when he got out at the Peninsula Hotel on 55th Street, he forgot the cello. 'I made a stupid mistake' he said later at a news briefing on the steps of the Peninsula Hotel, 'and I just left without it.'" Hundreds of violins stolen and forgotten in trains, buses, restaurants, market, street... you name it. Even if you had it in your back, it can happen what happened to Garrett, slip and strad destroyed. All those accidents could have been avoided by leaving the violin in a safe place like your car's trunk, when the worst thing that can happen is that you have the worst luck ever and a thief chooses your car, which is empty from outside, and steal your violin. What are the odds? "The statistics could possibly show no difference in safety between the two scenarios on average only because of the number game, but we can only speculate in absence of evidence." I'm quite sure that's wrong, if you want to use statistics I bet my Amati (hahaha) that there have been infinite more violins stolen and lost when they were out there in the streets, in the bus, restaurants, clothing shops, super makets, malls... with you carrying it than stolen from a car's trunk. I'm quite sure that's a fact, and I don't call you all "irresponsible" for carrying $20000 in your back in very chaotic scenarios like malls in Christmas. About what you say that you're in control, you take care of it, etc... so do Yo-Yo Ma, Garrett and plenty of other musicians. So, don't think that you're much more responsible for taking your violin to every places than a person that saves it in the trunk, and most importantly, do not call them irresponsible because that's insolent and wrong, and I think I've proven that it's not safer to take it with you. "I never lend the violin or bow that have been loaned to me"
And I agree with you here, a person trusted you (or a company) and only you. If you lend it to another person you trust, you're doing it wrong. The loaner does NOT trust people you trust, it only trusts you, just like your friends don't necessarily are friends of your other friends, indeed they could not get along. If I tell you a secret, I only trusted it to you, not to all the people you trust. Renter's and homeowner's insurance are pretty similar in this regard. This will generally cover loss of things like your laptop -- or a violin -- even when they are out of your house, as long as they are personal items, not used for business. That means that if you leave it in the car and it's stolen, you're covered. In general, this is okay for an amateur who doesn't own an expensive violin or bow. This type of insurance might or might not cover repairs due to a damaged violin (say you fall down the stairs with it), and it does not cover devaluation due to damage. Specialized policies of this sort typically have a higher standard of due care. For instance, they often explicitly disallow you from leaving the instrument unattended in a car, and they may also have other specifications about other actions deemed negligent (for instance, leaving the instrument unattended in a room that is not secured). When you buy such a policy, they ask about the conditions under which the instrument is normally kept, and the conditions under which it is used. What is "due care" for a $1,000, easily-replaced trade violin, is not "due care" for a fine contemporary or antique violin. 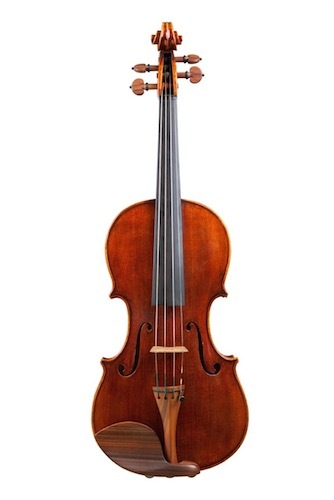 It appears that Wronski's instruments sell for around the $20k range, which certainly classifies it as a fine violin that ought to have a higher standard of due care. Edited: December 26, 2017, 3:47 PM · Tim I recommend that tell your luthier “... don’t worry I’ll keep it safe in the trunk of my car” next time you take a fine instrument on trial, it will make him/her feel good about loaning it to you... but don’t be surprised if you are kindly asked to provide a deposit for the full instrument’s value. Edited: December 26, 2017, 4:09 PM · Roger that proves nothing except that the luthier shares the majority opinion. I'm sure Tim is clever enough to flatter his Luther's prejudices enough to escape such consequences as you have described. Edited: December 26, 2017, 4:33 PM · Tim and Paul, you had a point in arguing that for certain people like you, that leaving your violin in the car could be possibly safer than taking it with you. But the insurance companies that cover violins similar to the one that was stolen do not agree. I can argue to a cop that not slowing down at a section of the road with a reduced speed sign is safer than slowing down if it looks like there's no one around. But he's going to give me a ticket anyway but I guess I can convince him otherwise. And even if I accidentally hit someone or damaged my car because there is a reason for the reduced speed in the road, my insurance company will understand and let me go according to this logic. December 26, 2017, 5:13 PM · Yes. Insurance companies have to do their business as diligently as anyone else. That is a far cry, however, from the blanket generalization of flagrant irresponsibility assigned to individual decisions. Probably insurers should likewise forbid you taking your fiddle to Somalia, Yemen, etc. Edited: December 26, 2017, 7:11 PM · Insurers won’t forbid anything, they just won’t pay if something happens that they won’t cover. They operate on claim statistics, and when excluding coverage you can pretty much bet that it isn’t good for business to do so based on past history. If they specifically exclude coverage for instruments kept in trunks under some circumstances it’s for a reason. Most likely the loss of a professional instrument is too high a cost given the frequency of occurrence in their experience. Theft aside, storing instruments in the trunk is a bad idea for two other reasons if anything: cooker effect, and rear-ended collisions, which are the most frequent type of collision, especially in the winter season. Edited: December 26, 2017, 7:35 PM · Why are we keep talking about insurance companies? Insurance companies don't pay you if they steal the violin from your car because it would be a money hole for the company. You can't prove AT ALL that it wasn't you who planned it. If they pay you when the violin is stolen from your car, evil people would ensure their $4000 violins, break their own windows and make it appear like a thief did it. You can say you were shopping and found it like that. So the policy of insurance companies are worthless here, they only seek maximum benefit and they can't risk to be so vulnerable. I can say there is a much greater chance of you losing or destroying you violin if you take it with you all the time that if you save it in the trunk, based on pure statistics. I don't know the exact number, but there's no doubt that the odds of leaving your violin in the trunk and a thief stealing it are so low you better worry about you getting hit by a lightning. You compare them to the odds of you losing your violin because of an accident, a little distraction or you simply forgot it, and you would laugh a lot. It has happened to Yo Yo Ma, it has happened to Garrett, even students have stolen their teacher's violins. So stop being so confident about your opinion, it's simply delusional to think you're more responsible if you take it with you to chaotic places such as streets, malls with lots of people, etc... and hey, you're not a super human, you can forget things just like Yo Yo Ma did, he is a professional musician, he carries his cello all the time, it's the only thing he has to take care of, and even with all of that, it happened to him and forgot it. Who could have ever expected that. The last thing I would say to him is that he was irresponsible. It was simply bad luck, like an accident, period. If he was drunk, then that would be a different case. We are talking about cars in a parking Roger, not moving cars (and my God, you don't get all nervous thinking if someone is gonna hit you in the back while you're driving, some people here seem to have some OCD), and two, I said that it WOULD be irresponsible to leave the violin in the summer in the trunk. Edited: December 26, 2017, 7:49 PM · "Insurers won’t forbid anything, they just won’t pay if something happens that they won’t cover. " Yes thank you for reminding us all of this distinction.